Natural gas is a versatile, clean-burning, and efficient fuel that is used in a wide variety of applications. In 2011, for example, the US consumed nearly 24 trillion cubic feet of natural gas, 30 percent of US energy consumption and the energy equivalent of almost 190 billion gallons of gasoline . In 2012, the United States consumed nearly 26 trillion cubic feet of natural gas, primarily in the electric power and industrial sectors . Although domestic natural gas production has grown substantially in the last decade, consumption still exceeded production in 2012 . Pipeline imports from Canada supply most of the balance. A smaller amount is imported as liquefied natural gas via supertankers . The US Energy Information Administration projects a 50 percent rise in global natural gas consumption between 2010 and 2035, with growth in Brazil and China driving increased demand . 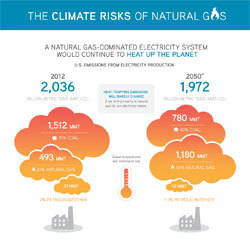 The fastest growing use of natural gas today is for the generation of electric power. Natural gas power plants usually generate electricity in gas turbines (which are derived from jet engines), directly using the hot exhaust gases of fuel combustion. Single-cycle gas turbines generally convert the heat energy from combustion into electricity at efficiencies of 35 to 40 percent. Higher efficiencies of 50 percent or more are possible in natural gas “combined-cycle” (NGCC) plants. NGCC plants first use the combustion gases to drive a gas turbine, after which the hot exhaust from the gas turbine is used to boil water into steam and drive a steam turbine. Natural gas-fired plants are currently among the cheapest power plants to construct. Historically, their operating costs were generally higher than those of coal-fired power plants because the fuel was more expensive. Natural gas-fired plants have greater operational flexibility than coal plants because they can be fired up and turned down rapidly. Because of this, many natural gas plants were originally used to provide peaking capacity at times when electricity demand was especially high, such as the summer months when air conditioning is widely used. During much of the year, these natural gas “peaker” plants were idle, while coal-fired power plants typically provided base load power. However, since 2008, natural gas prices in the US have fallen significantly, and natural gas is now increasingly used as a base and intermediate load power source in many places. A 2011 MIT study calculated that increased utilization of existing natural gas power plants to displace coal-fired power could reduce the electric sector's carbon emissions by 22 percent in the near term . Natural gas’ contribution to electricity generation is growing rapidly: from only 17 percent in 2001 to 30 percent in 2012 . 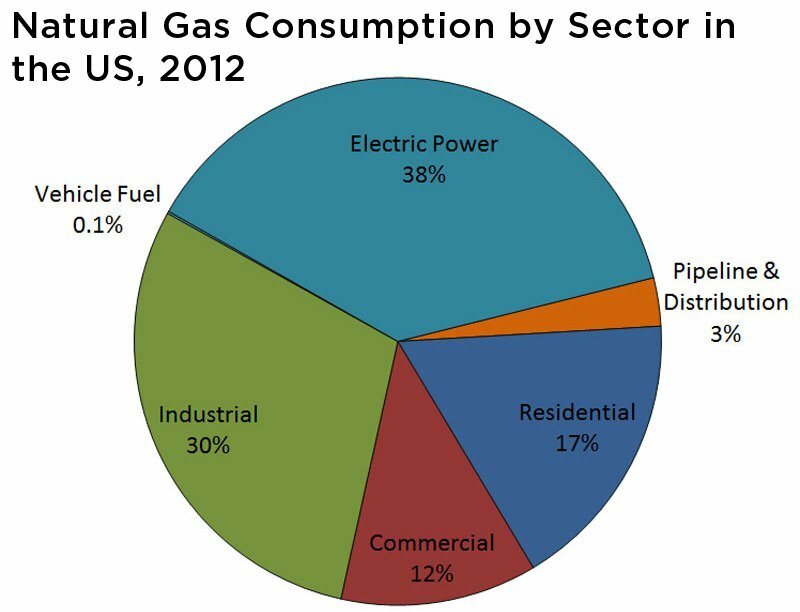 Residential and commercial uses account for over a third of US natural gas consumption, as gas is used in buildings for space and water heating and for cooking. About half of all US homes used natural gas for heating in 2013,  and 70 percent of all new homes are built with gas heating systems. Home furnaces can reach efficiencies of over 90 percent . Measures to increase building efficiency are widely considered the most cost-effective way to reduce the amount of natural gas we use. One study estimated that an ambitious program to improve building performance through means such as high-efficiency insulation, windows, furnaces, water heaters, and other appliances could save 234 trillion cubic feet of natural gas over the next 50 years . Natural gas can also be used to produce both heat and electricity simultaneously, a technology called “cogeneration” or “combined heat and power” (CHP). Cogeneration systems are highly efficient, able to put 75 to 80 percent of the energy in gas to use. “Trigeneration” systems, which provide electricity, heating, and cooling, can reach even higher efficiencies. A 2009 UCS report indicates that CHP use could more than triple by 2030 if policies are enacted to make steep cuts in carbon emissions . Natural gas sees a broad range of other uses in industry, as a source of both heat and power and as an input for producing plastics and chemicals. Most hydrogen gas (H2) production, for example, comes from reacting high temperature water vapor (steam) with methane. Today, the resulting hydrogen is mostly used to produce ammonia for fertilizer, one of the most important industrial products derived from natural gas. Hydrogen produced from natural gas can itself be used as a fuel. The most efficient way to convert hydrogen into electricity is by using a fuel cell, which combines hydrogen with oxygen to produce electricity, water, and heat. Although the process of reforming natural gas to hydrogen still has associated carbon dioxide emissions, the amount released for each unit of electricity generated is much lower than for a combustion turbine. Compressed natural gas (CNG) has been used as a transportation fuel, mostly in public transit. CNG, which is compressed at over 3,000 psi to one percent of the volume the gas would occupy at normal atmospheric pressure, can be burned in an internal combustion engine that has been appropriately modified. About 0.1 percent of the natural gas consumed in the United States in 2012 powered vehicles, representing the energy content of more than 5 million barrels of oil . Compared to gasoline, CNG vehicles emit far less carbon monoxide, nitrogen oxides (NOx), and particulates. The main disadvantage of CNG is its low energy density compared with liquid fuels. A gallon of CNG has only a quarter of the energy in a gallon of gasoline . CNG vehicles therefore require big, bulky fuel tanks, making CNG practical mainly for large vehicles such as buses and trucks. In most cases, a better use for natural gas in the transportation sector would be as a resource to generate electricity for plug-in vehicles or hydrogen for fuel cell vehicles, which can provide global warming emissions savings on the order of 40 or more percent. The wide range of uses for natural gas makes it a critical resource for the United States and world economies. This versatility also means that changes in natural gas demand for one use can affect gas prices for many other applications. 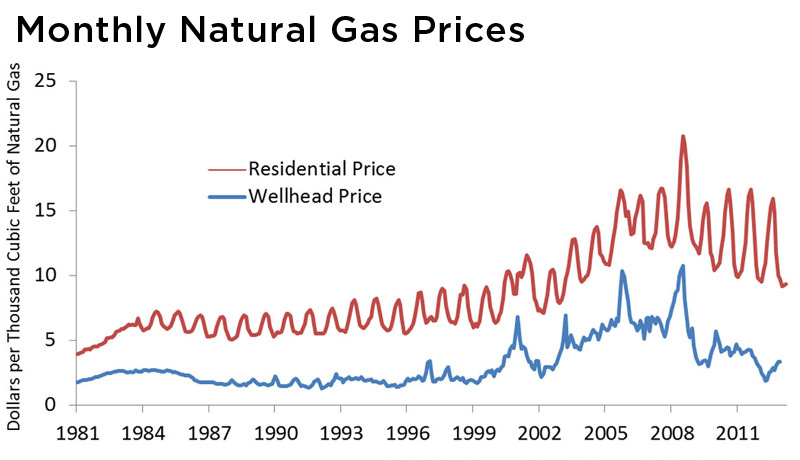 During the 1990s, natural gas prices in the United States were generally low and stable. The major expansion of natural gas use in power plants led to steady increases in gas prices for all uses, including home heating and industry. Since the early 2000s, gas prices have been notable for their volatility. After spiking to record levels in 2005 and 2008, prices after the global economic downturn are at their lowest in eight years. Part of this volatility stems from the difficulties in transporting gas where pipeline infrastructure is not already in place. Because of this limitation, there is no worldwide market price for natural gas, and local prices can be heavily dependent on regional production and availability. The dependence on regional gas supplies can also threaten countries’ energy security. Much of Eastern and Central Europe’s natural gas supply comes from Russia and passes through pipelines in several different countries on its way westward. Repeated disputes between Russia and Ukraine, for instance, have led to gas shutoffs that have caused shortages in countries as distant as France and Italy . Energy Information Administration. 2011. Annual Energy Review 2011. 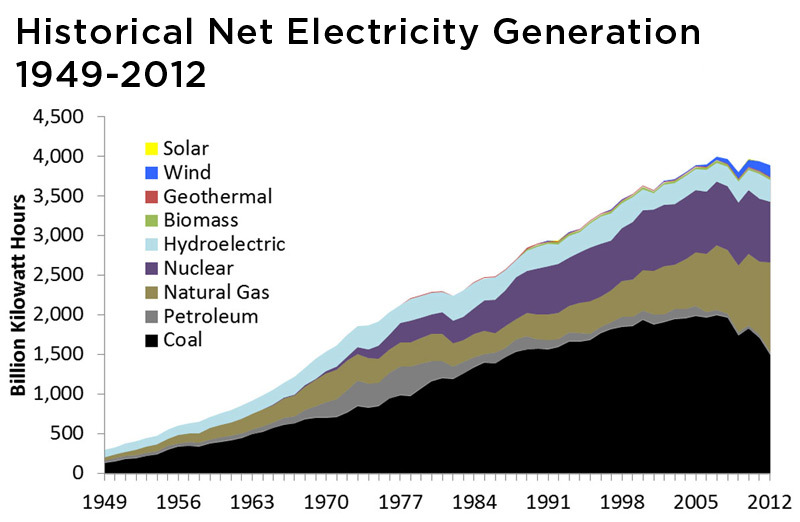 Table 1.2 Primary Energy Production by Source, Selected Years, 1949-2011. Energy Information Administration. 2012. 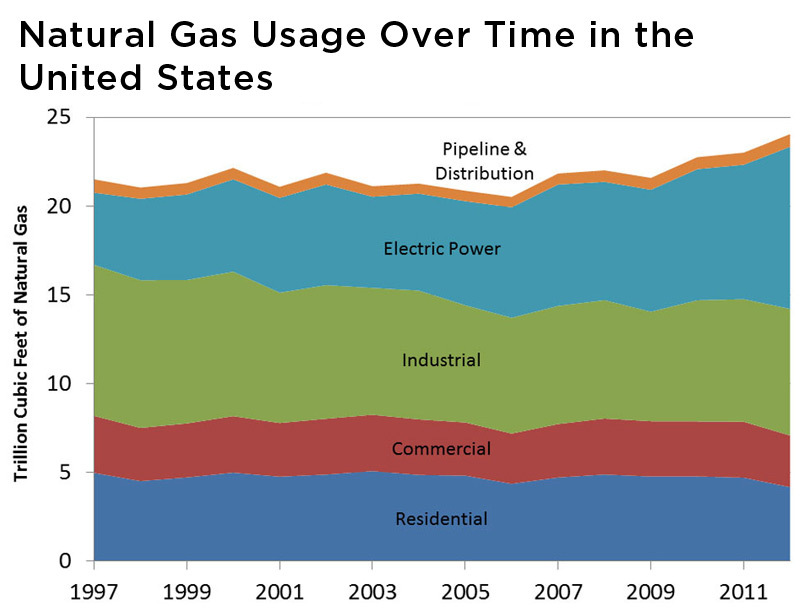 Natural Gas Consumption by End Use. Energy Information Administration. 2012. Natural Gas Gross Withdrawals and Production. Energy Information Administration. 2012. US Natural Gas Imports by Country. Energy Information Administration. 2011. International Energy Outlook 2011. Natural Gas: World Natural Gas Consumption by region, Reference Case. MIT Energy Initiative. 2011. The Future of Natural Gas. Energy Information Administration. 2012. Electricity Data Browser. Net Generation for All Sectors. US Department of Energy. 2013. Natural Gas. Online at: http://fossil.energy.gov/education/energylessons/gas/index.html. American Gas Association. 2011. DOE to Issue Direct Final Rule (DFR) on Residential Furnaces Mandating 90% AFUE Furnaces in the “North”. Natural Resources Defense Council. 2008. Efficiency is the Faster and Cheaper Way to Power Natural Gas Prices. US Environmental Protection Agency. Clean Alternative Fuels: Compressed Natural Gas. Kramer, Andrew E. 2009. Russia Cuts Off Gas Deliveries to Ukraine. New York Times. January 1.